Welcome back. Just a handful of weeks left to go. It’s starting to dawn on me that week 17 is right around the corner. I’m not happy about it, but here we are. Let’s get to Week 11’s HITS and MISSES. Kenny Golladay (28.3 pts): Last week’s “Steal of the Week” was right on the money. He finished week 11’s contest against the Panthers with 8 receptions, 113 reception yards, and a TD. He should have had an even bigger game since he was targeted 15 times. Adam Humphries (15.0 pts): Last week’s “Long Shot” was the best return on investment (ROI). He hauled in 3 of his 5 targets for 60 yards and a score. That’s pretty solid at $3,300. Unfortunately, his salary increased to $4,000 and I am doubtful his ROI is more boom and less bust. STACK / Drew Brees (33.52 pts) and Michael Thomas (19.2 pts): Thomas’ 88.6% catch rate is ridiculous. I’m glad I lobbied for this stack all summer long and own a lot of stock in Thomas. He was a 2nd or 3rd round steal in my opinion. Keep rolling with this stack until the season ends. STACK / Eli Manning (17.1 pts) and Odell Beckham Jr. (18.5 pts): The Giants are on a 2-game win streak and it looks like Manning is benefiting from the fear of losing his job and his…well, legacy. Decent enough points to win a 50/50, but you didn’t win much from any tournaments. Dion Lewis (4.2 pts): Of course, when you show complete confidence in Lewis, he fails to perform. He was set high on a lot of radars last week and let us all down. Shame on us. He averaged 2.4 YPC and caught one of his only two targets. Indy made the Titans look silly all day long. Dede Westbrook (3.9): I was aptly mocked on Twitter for trusting Westbrook and that mockery was well-deserved. No matter how much we wish Bortles and company would be predictable and sustainable, we get a big fat reminder that Bortles is the biggest reason the Jags won’t wear any championship rings during his tenure. Man, that got dark. 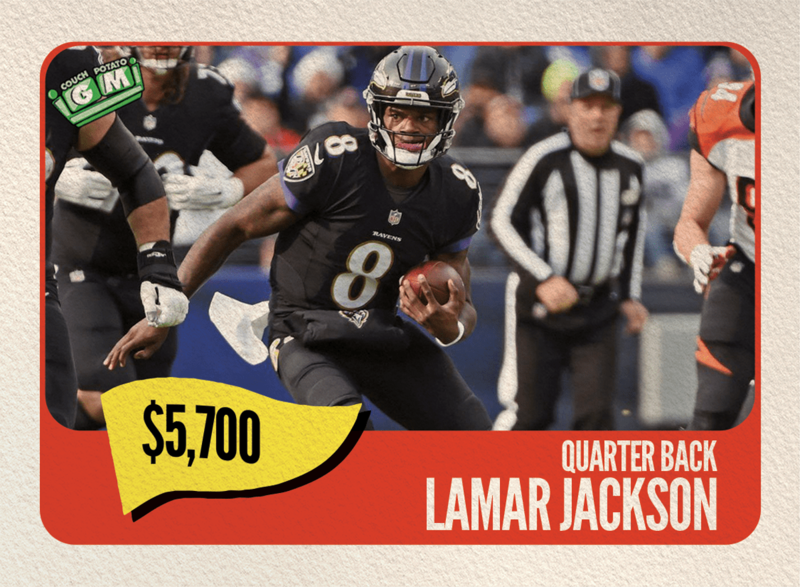 Lamar Jackson, QB (BAL) $5,700: I’ll be honest, I’m not jumping on the Lamar Jackson train just yet. He was hailed a legit QB1 because of last week’s 119 rushing yards on 26 attempts. Granted, as a QB who only threw 150 yards and scored zero TDs, his 19.9 pts were worth last week’s salary of $4,700. Even at $1,000 more, play him. I think John Harbaugh will curb his rushing attempts and work to improve last week’s horrible 70.1 passer rating. D.J. Moore, WR (CAR) $4,600: Moore exploded last week and his ceiling is much higher than his floor. Funchess is doubtful to play, bringing Moore to the frontline of Cam’s aerial attack. Seattle’s defense isn’t the powerhouse it used to be, but they do rank 11th against the pass. Either way, he should see 7-10 targets if Funchess sits out. Kirk Cousins, QB (MIN) $5,500: His salary is surprisingly low considering he has one of the best WR duos in the game and he happens to be a top tier QB. He averages 21.4 FPPG this season and performs much better on the road than at home (25.6 FPPG vs 17.3 FPPG). The Vikings need to drop the hammer if they are going to secure a Wild Card game, much less a Divisional Round game. Jarvis Landry, WR (CLE) $5,900: Landry’s salary has dropped over the past few weeks, peaking at $7,300. Take advantage of this opportunity. He’s facing the league’s 2nd worst pass defense, giving up 295.6 PaYDA/G. I’m banking on the Mayfield and Landry stack this week. Beyond the choice matchup against the Bengals and the low salary, this is another gut play. 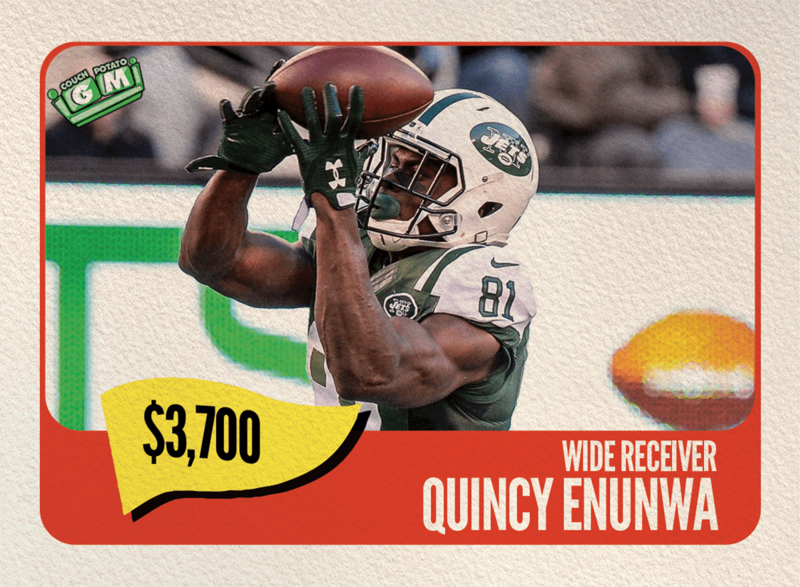 Quincy Enunwa, WR (NYJ) $3,700: The stars are aligned here. Enunwa is healthy, Robby Anderson is not, and the Pats rank 25th against the pass – allowing 270.3 PaYDA/G. He’s playing under a second-round tender and could use some outstanding play to boost his market value. It’s week 12. Go big or play Hockey DFS. 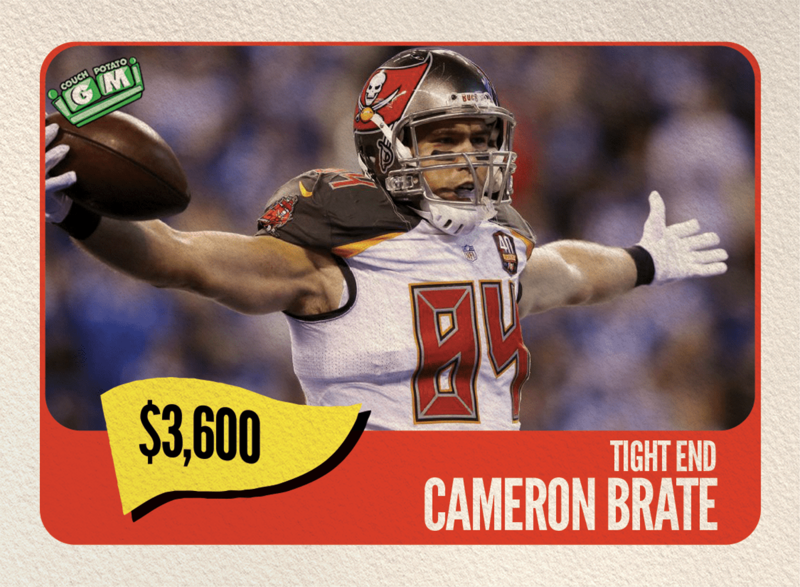 Cameron Brate, TE (TB) $3,600: Another situation where the stars are aligned again. Howard was sent to IR and Winston is under center again. I truly believe he’s going to boom this week and the weeks following. Take advantage of the low salary and use your savings for Barkley. The salaries and PPG are taken from DraftKings. Entering 50/50 contests is the absolute best way to win and double your money. If you decide to go all in and chase the big money, just be sure to enter a few 50/50 DFS contests to ensure you win your money back. 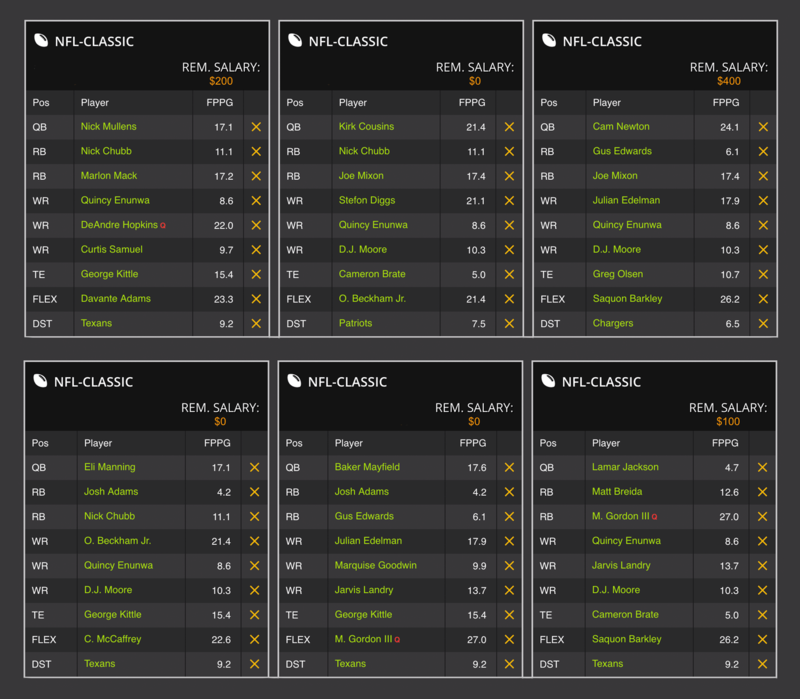 Let’s get ready for another exciting week and good luck to you and your lineups.